Scientists discover a complex molecule in deep space that could help understand the origins of life and the possibilities of life elsewhere in the universe. For the first time, scientists have discovered a molecule outside of our galaxy that may help us understand how life was formed. Their findings were published in Science. 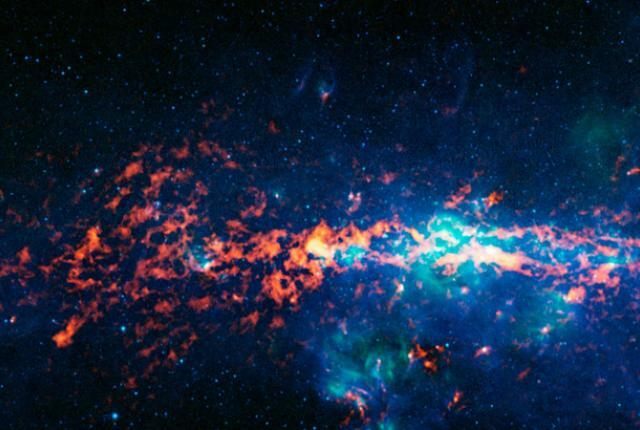 The discovery was made by observing the giant gas cloud Sagittarius B2 using the Green Bank Telescope (GBT) in West Virginia with support from the CSIRO’s Parkes radio telescope in Australia. This is a key discovery that could lead to understanding the process of how a chiral molecule’s handedness is determined. This would shed light onto the mysteries of the earliest building blocks of life. Scientists believe that complex molecules like propylene oxide are able to be formed in gas clouds by small molecules being linked through the interaction of grains of dust and mantles of ice. These linked molecules then are released upon the evaporation of the ice and again begin to react with molecules in the cloud. Chiral molecules have previously been found inside of comets. The discovery of propylene oxide in isolation will allow scientists to study chirality before the molecules become attached to meteorites and comets that could initiate life building chemical reactions.